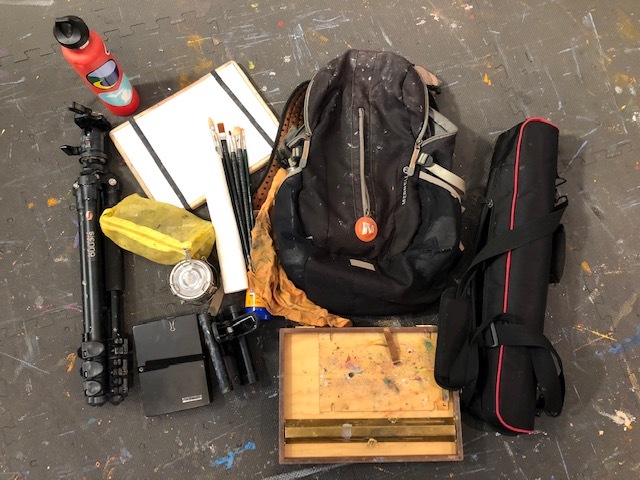 Everything I bring with me when painting plein air. For years, I claimed I was a studio painter and I didn’t like to paint outside. But the truth was, I loved to paint outside — I just hadn’t figured out how to make it less frustrating. It took so long to set up, and then the wind would blow my canvas over, or my palette would flip over, getting dirt in my paint. But the desire to keep painting outside kept beckoning me. I kept trying. It took years before I found a system that truly worked for me, and I couldn’t be happier. 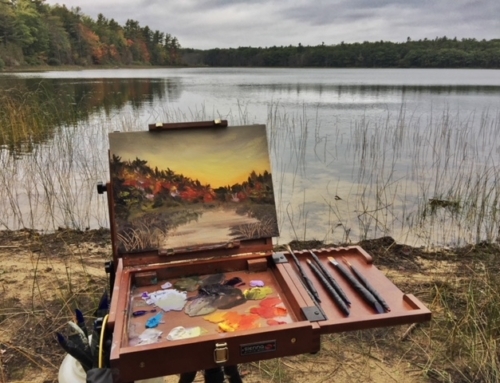 Plein air painting has become a joy I would not want to live without. I want to spare you the frustration, my friends. I’m sharing what works for me. It’s not the only way, and what works for me might not work for you, but I think all would agree the right equipment/setup is everything. I’m motivated by traveling light and simple. If I don’t HAVE to bring it along, I do not. This helps with the weight of my equipment and not losing things or not being able to find them among all the stuff. Keeping it simple also helps keep my head clear. I use a sturdy tripod and a pochade box. 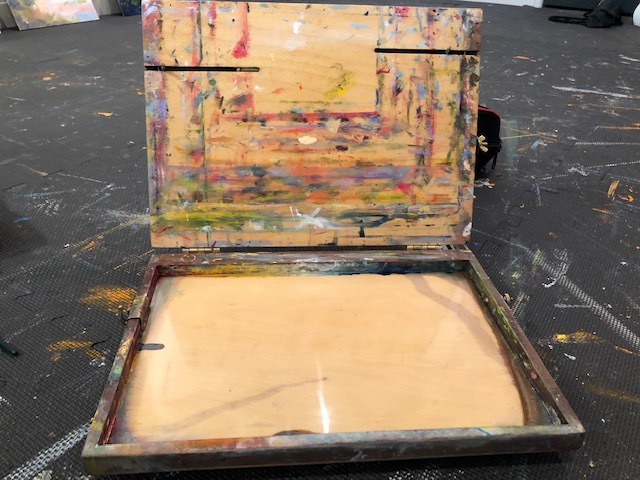 The box opens up and the top holds my canvas, and the bottom is my paint palette. I use a box made by Open Box M (openboxm.com), though many companies make great boxes. 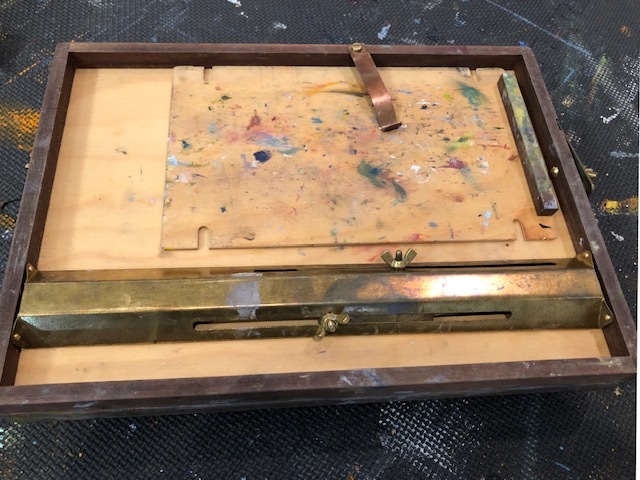 I like the lightweight and thinness of the Open Box M.
Open Box M painting box, also called a pochade box. The pochade box opened up and ready to paint! 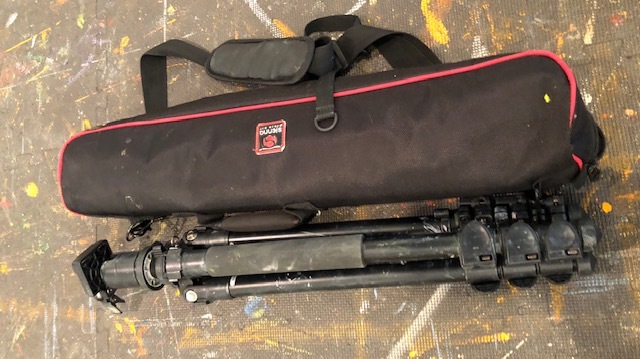 Tripod with carrying case to hold my pochade box. 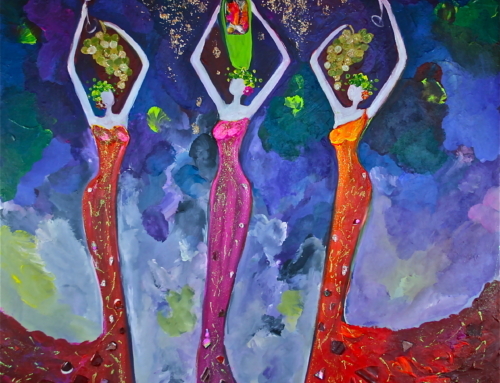 Water mixable oils are also ideal for outdoor work because they don’t require any medium or turpentine. I just pack two water bottles with me. One for the paints, one for me. 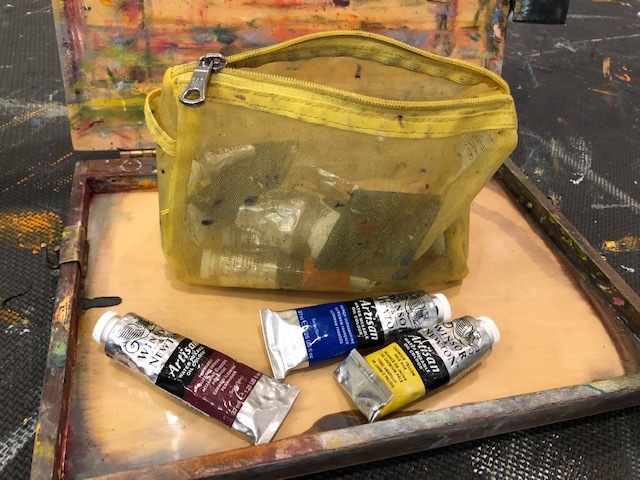 I use small paint tubes and a limited palette, meaning I only carry the paint colors that are absolutely necessary. 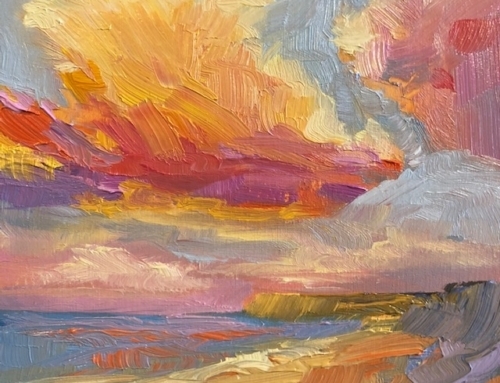 I use Windsor & Newton Artisan water mixable oil colors, available at dickblick.com. 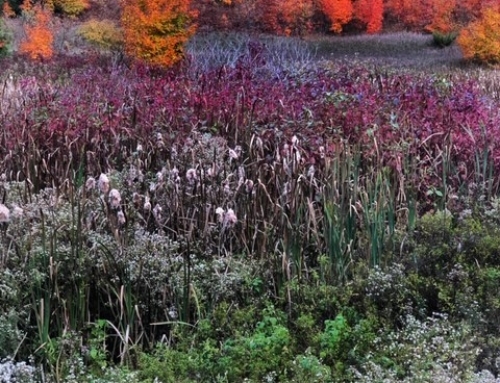 Water mixable oil paints are great for outdoor work. All you need is water, no turpentine or medium necessary. 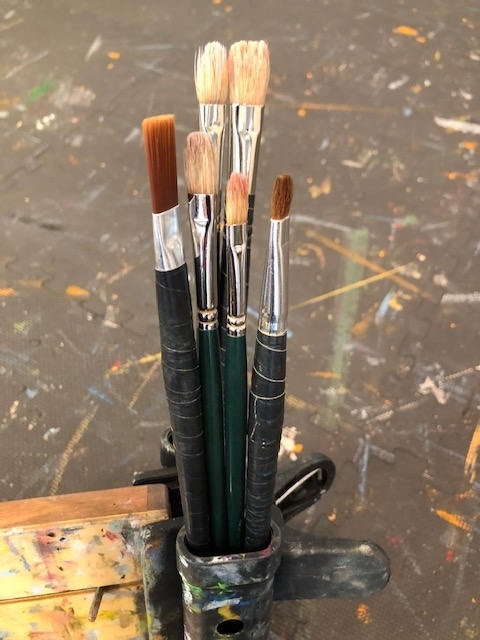 Easel brush clip (easelbrushclip.com) is a brush holder that I got as a gift and was not convinced I wanted to carry along with me in my pack — everything is about weight and simplicity — but I found this brush holder to be invaluable to me. Even though it is not compact, it does fit in my backpack, and I’m happy to have it holding my brushes for me! 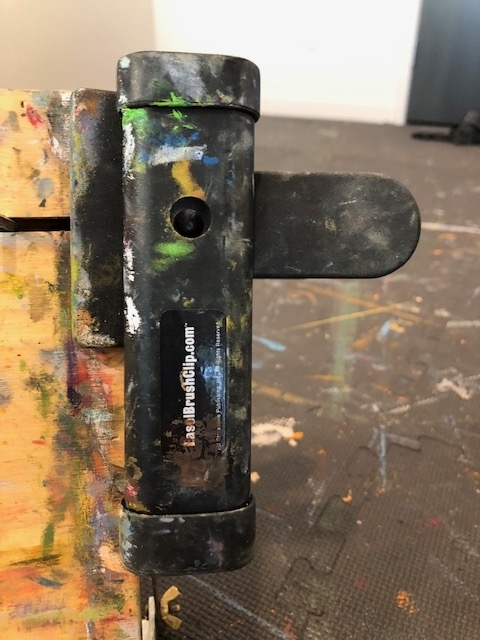 Easel brush clip — my hand brush holder when painting outside! Panel Paks (panelpak.com) and RAYMAR (raymarart.com) panel holders are how I transport my canvases. Both protect wet paintings. I usually keep the RAYMAR holders in my car. They are bigger than PanelPak and carry 6 paints. So as the day where’s on it is needed. But when I hike into a location I don’t need more than two canvas panels with me and the PanelPak is lighter and holds only two. 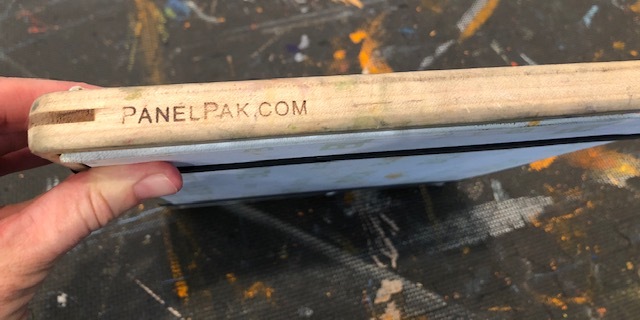 Panel Pak to hold my canvases and protect them once they are painted. 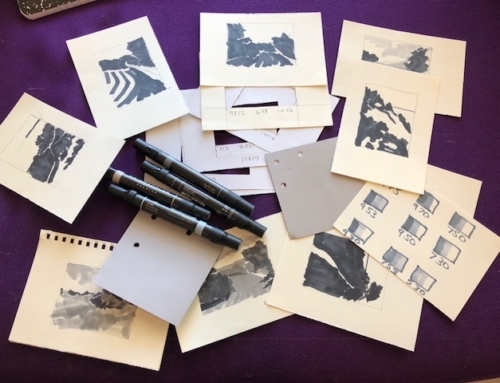 In my bag, you will also find a small canister for holding water to clean my brushes, brushes to paint with, paper towel, small bags to carry dirty paper towels, a value study sketch box, and sunscreen. 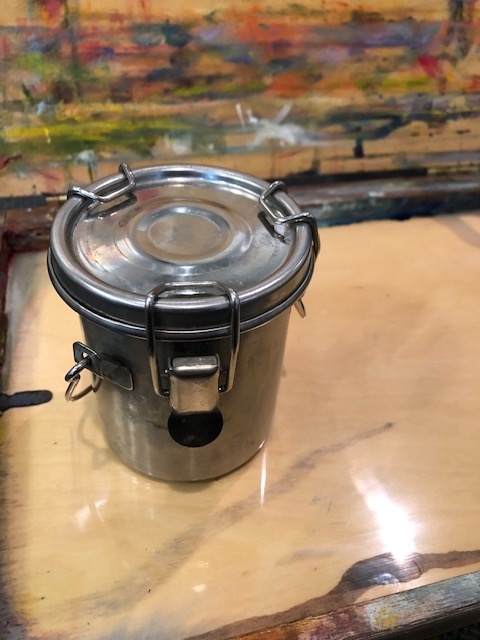 Canister to hold water for brush cleaning. 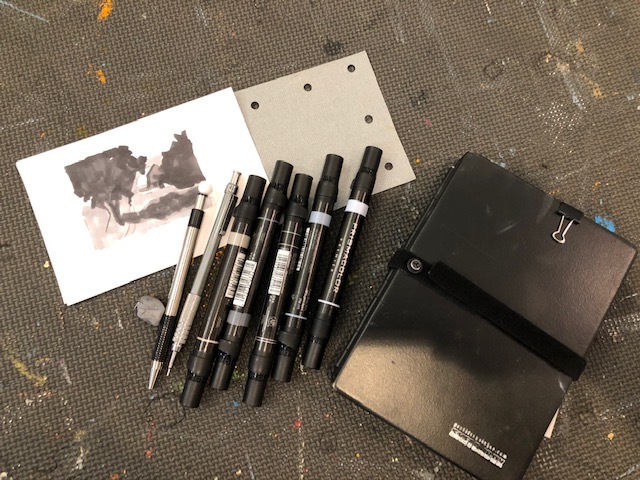 My sketch box — because I’m a firm believer in doing your value studies. As far as what I wear, the most important thing is to always wear a hat. I use a hat to protect myself from the sun and shield my eyes, as sunglasses change the colors and values and I prefer not to wear them while painting. I’ve painted in everything from a parka to a sundress, but have learned to appreciate long pants and hiking boots to protect from ticks (tweezers are always in my backpack as well, just in case I meet a tick), bug bites and those pesky black flies. I usually keep a long sleeve shirt nearby in case those black flies show up as well. Please feel free to email me questions and add your own ides to the list. Now I’m excited to get outside and paint, how about you? To view the full setup and learn more, click here for a video from my Facebook page!